I love summer knitting. There. I said it. Whew! Just getting it out in the open like that makes me feel so light and free! Knitting is usually all about the big, warm, cozy sweater, right? The wool cardigan, the bulky jacket, the stranded or cabled details that add extra warmth. Come spring, in knitting groups everywhere, people will start glaring at the rising mercury and muttering, “I don’t know, maybe some socks or a lace shawl until the weather breaks.” And it’s true that holding a blanket or heavy jumper on your lap in August doesn’t feel very nice. But there’s so much more to summer knitting than socks and accessories. Don’t get me wrong — I’m an avid sock knitter, and I’ve knitted more hats and gloves over the years than any person could ever need. They’re fun little projects that factor high on the instant-reward scale (as instant as knitting ever gets, anyway). So I do get excited in the hot months about knitting little light bits of froth to drape around my neck or pop onto the ends of various limbs. Even more than that, though, I love knitting tees and vests and tanks. And tiny little cardigans! They’re perfect for summer when the air conditioner is blasting arctic air all over your bare skin. And little skirts! I can’t wear skirts in Chicago’s frozen winter, but in the warmer months, skirts are the greatest thing ever. A warm breeze against bare legs? Yes, please! Now that the weather is turning warmer, my knitting time is also turning to warm-weather items. 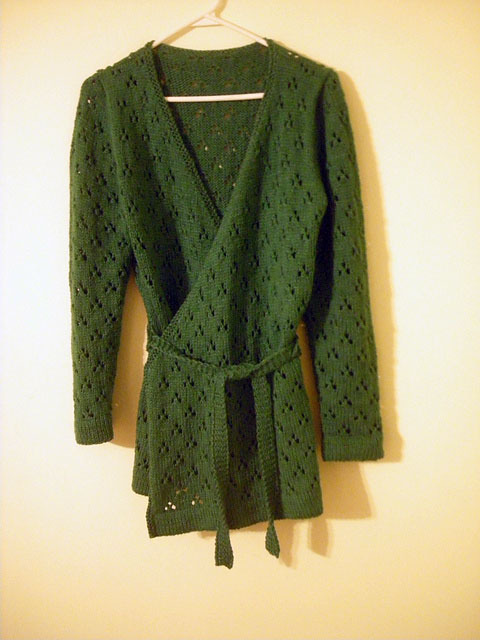 First on the list is this Ankestrick cardigan in a laceweight that I just barely managed to start last summer. 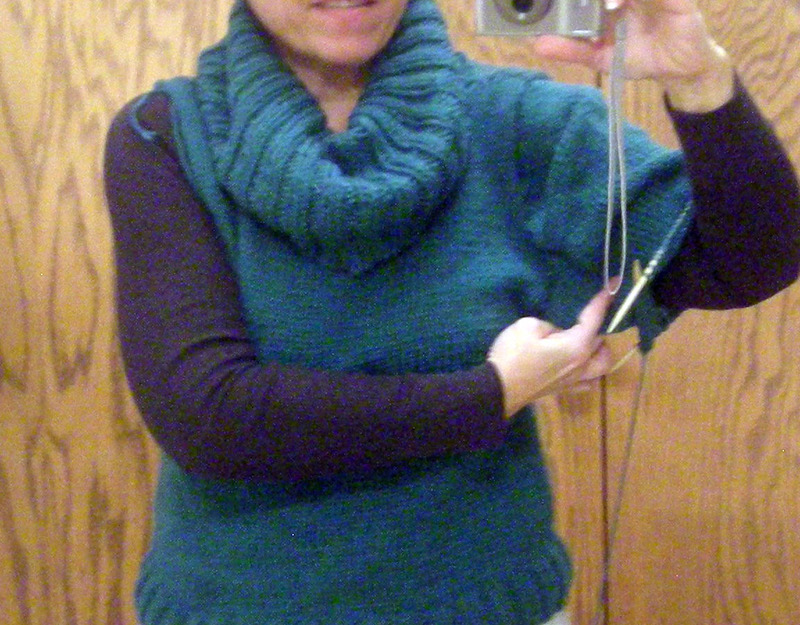 That’s a top-down cardigan using the contiguous shoulder method that I’ve become so addicted to. 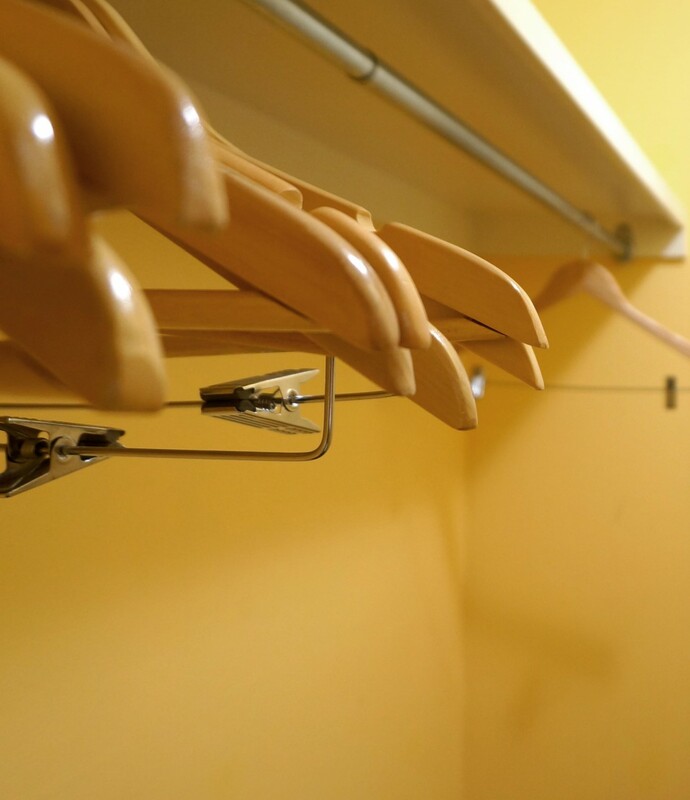 It’s a great way to ensure a good fit. I find it better, generally, than a raglan in both fit and style, but that didn’t stop me from casting on this raglan cardigan a week or two ago. That’s Andi Satterlund’s popular retro-style pattern, and the yarn has enough angora in it to make it seem even more retro. This is proving to be a quick knit so far, and it might end up living on the back of my chair at the family business through most of the summer. I don’t spend many hours there these days, but I spend enough to want a dedicated cardigan there. This might be it. 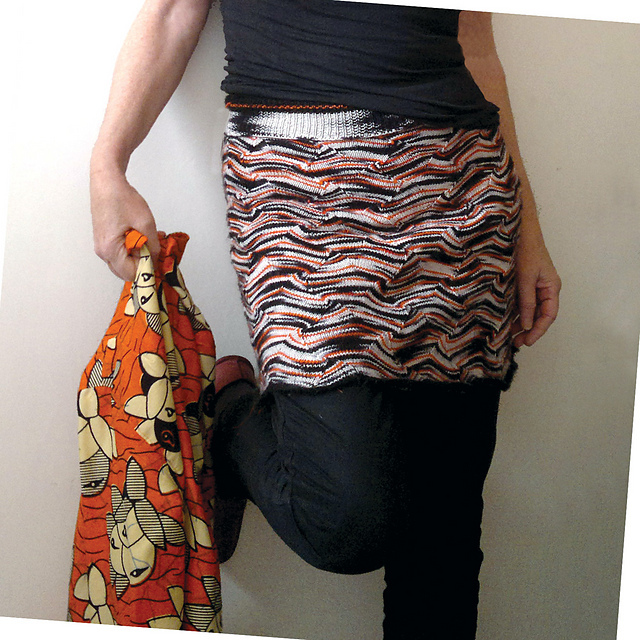 I’m eyeballing one, possibly two tunic/minidress things, another Elfe tee, and this extremely cool skirt — check it out. What are you excited to knit this summer? Or do you put your needles away until the first frost in autumn? My Holsten sweater picked a fight with a studded leather moto jacket. The jacket won! So I’ve had to do some snag repair, and I thought I would show you my favorite method. First, the damage. There are two snags here. The first is where that long string comes off to the side, and you can see the pull in a horizontal line on the sleeve. Luckily, none of the yarn plies broke here. It’s just a very long snag. The second is just above that, a spot that appears sort of rough in the middle of the fabric. 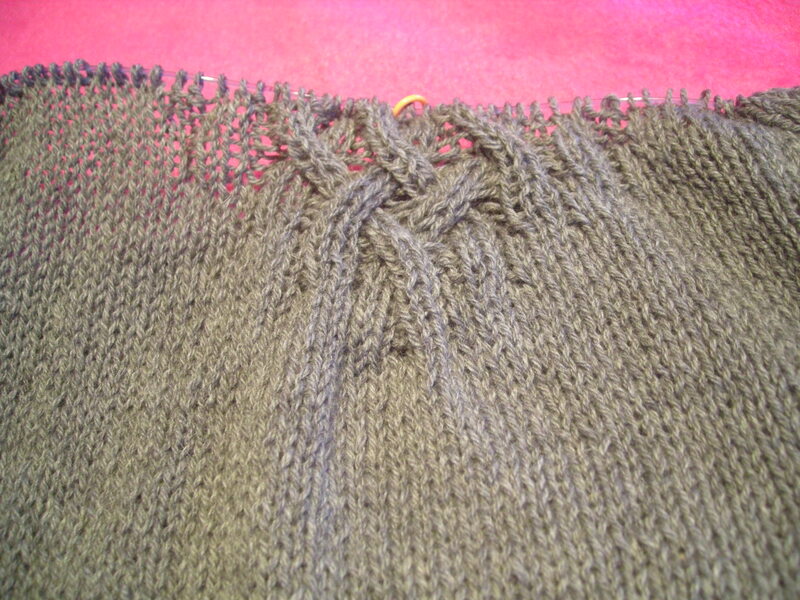 That snag is actually the trickier of the two, in terms of repair, because one of the plies in the yarn snapped. It also distorted differently than the remaining plies. It’s fixable, but this one will probably never look 100% perfect because of the broken ply. 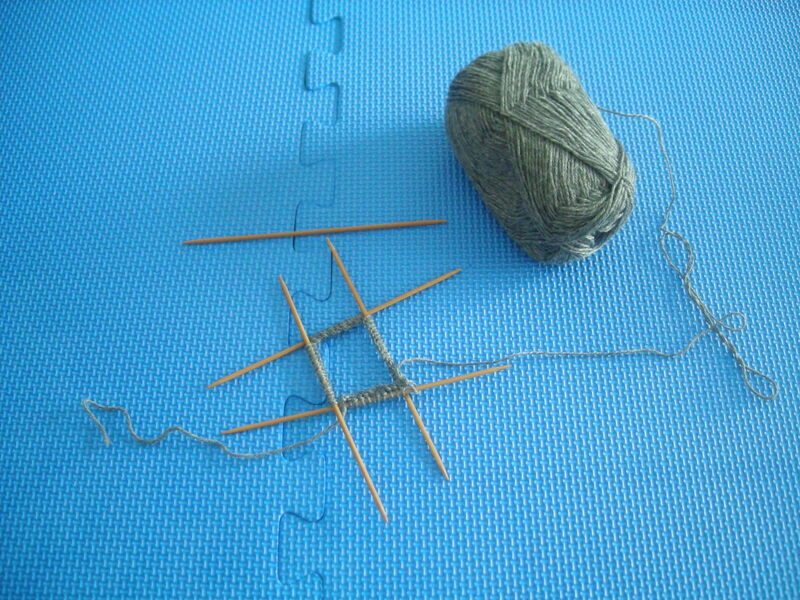 There are snag repair tools on the market, but I prefer to use a plain old knitting needle. 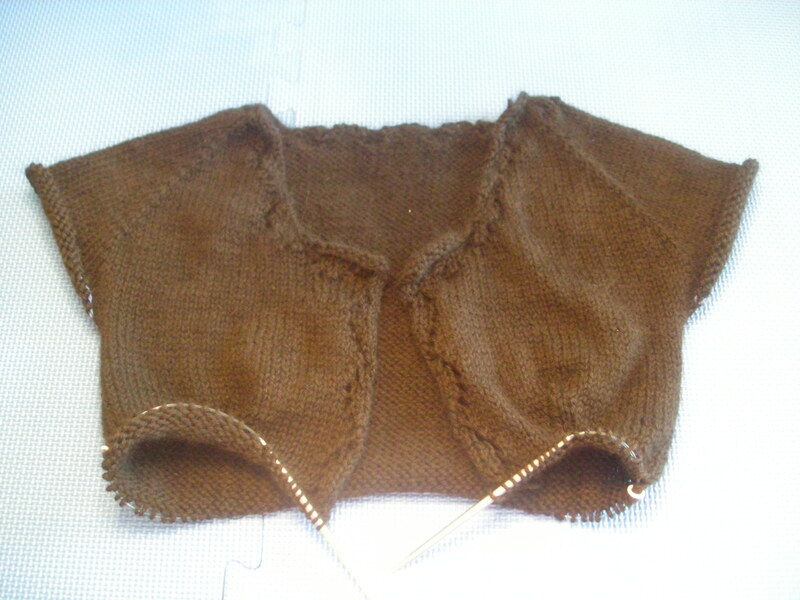 This sweater was knit on size 4 US needles, so I grabbed my trusty Signature 4s and started picking up the stitches where the snag distorted them. It’s almost like reknitting the row. 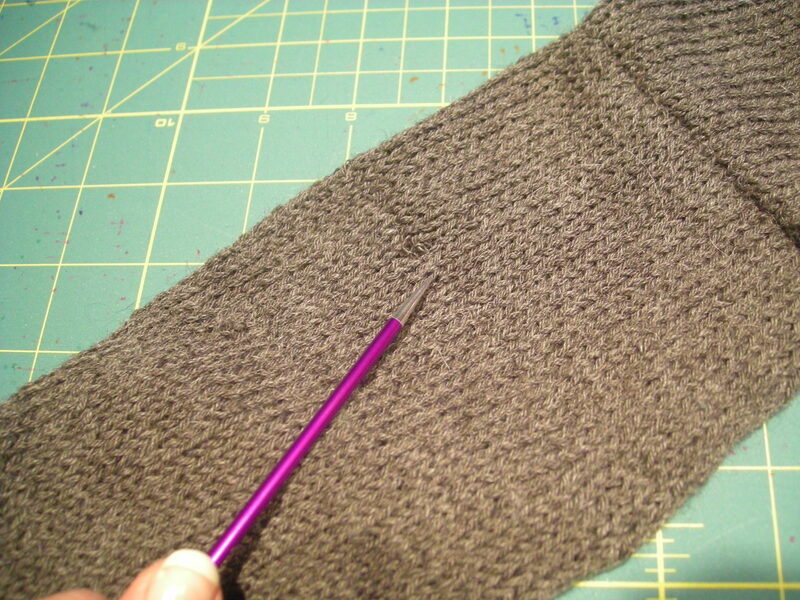 You’re aiming to pull one leg of the stitch over the needle and resettle it around the needle at the size 4 gauge. As you work the needle along, you pull a bit of the loose yarn through, and eventually it will look like a fabric instead of like a snag again. In this case, I had to tinker with the broken ply quite a lot, and it looks sort of rough on the wrong side, but it’s pretty much okay on the right side. The needle tip is pointing to just where the snag came though. You can still sort of see where the stitches were a little distorted, but after I mist it with water and let it reblock, it will be fine. 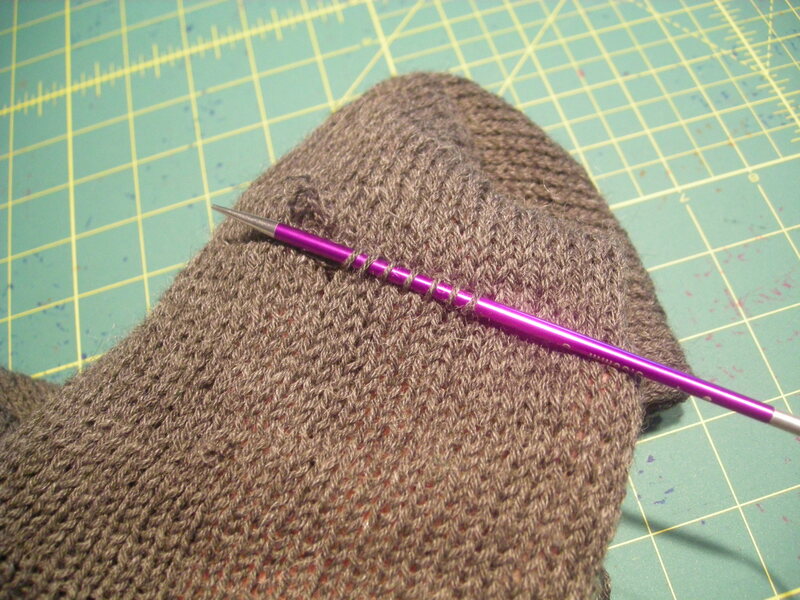 This method takes a little time and care — the Signature’s stiletto points are particularly useful for trying to pierce the center of the distorted stitch, but it can be very easy to split the yarn in the process. So a careful, slow approach is best, but despite the extra time it needs, this method gives really good results, almost invisible. I’m so glad I was able to rescue this sweater! I love wearing it! This is a thing I knit this week. 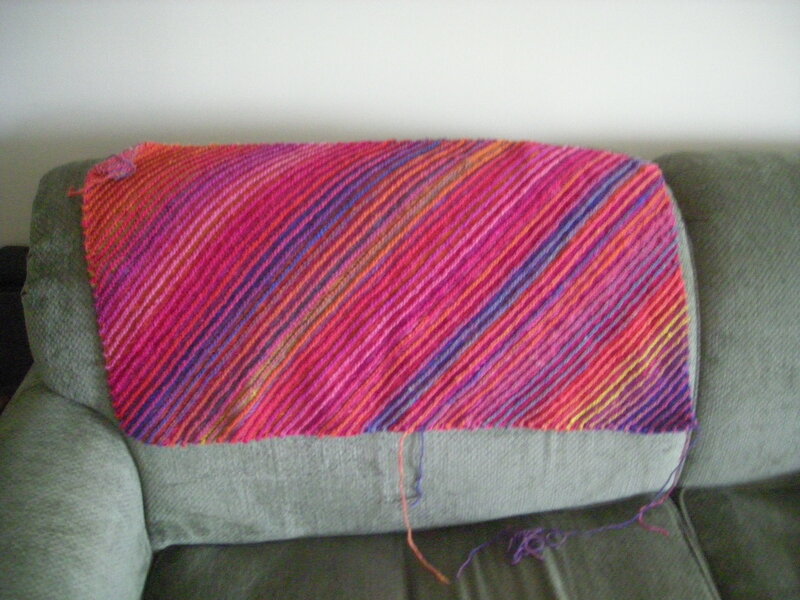 It’s not a throw rug, though the fabric is a bit ruggy because it’s knit from Noro Kureyon. It’s neither a blanket nor an antimacassar even though it’s draped on the back of the sofa. It’s draped there because all other work surfaces in my house have been given over to the upcoming holiday. Wrapping zones, baking zones, decorating zones — but not a “lay out your knitting for photography in an attractive manner” zone anywhere to be found. 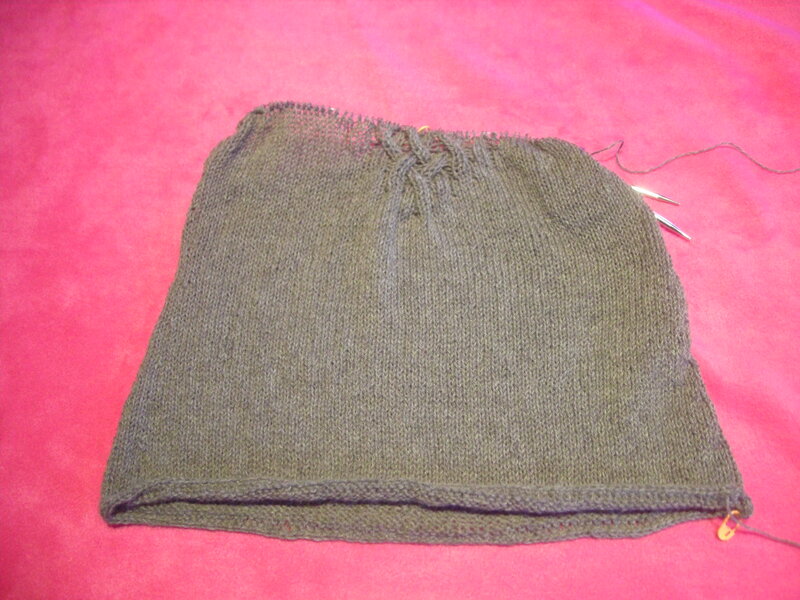 Eventually, this will become a lanesplitter skirt, a Knitty pattern from about four years ago (link). 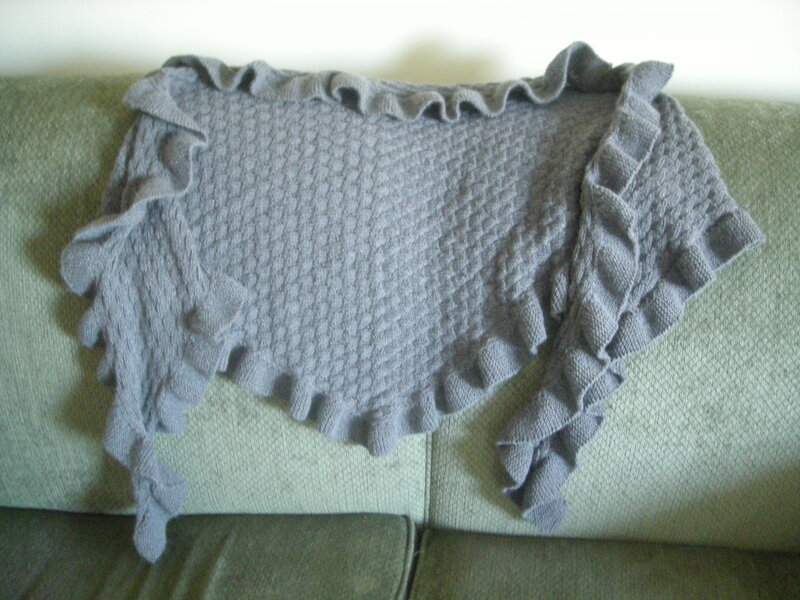 But in order to finish it, I have to block it, and I don’t have an available surface for blocking right now. It will have to wait until the 27th, when all holiday madness will be history and my tables and counters can be reclaimed for regular usage. 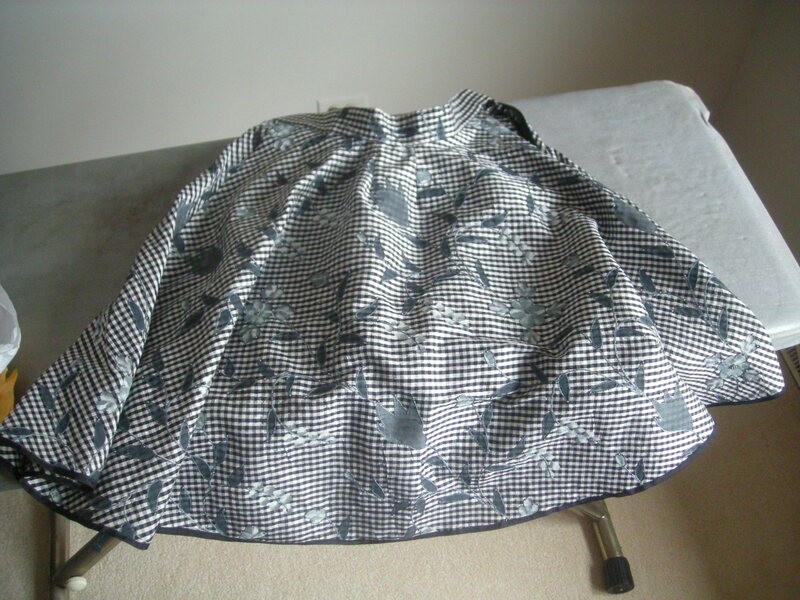 At that point, I will make a nylon tricot lining for this skirt, too. The fabric is so coarse and ruggy that there’s no way I would wear it next to bare skin, and it would stick to tights in that weirdly inappropriate way that coarse fabrics stick to tights. So a lining it needs, and the fabric for the lining is on order. 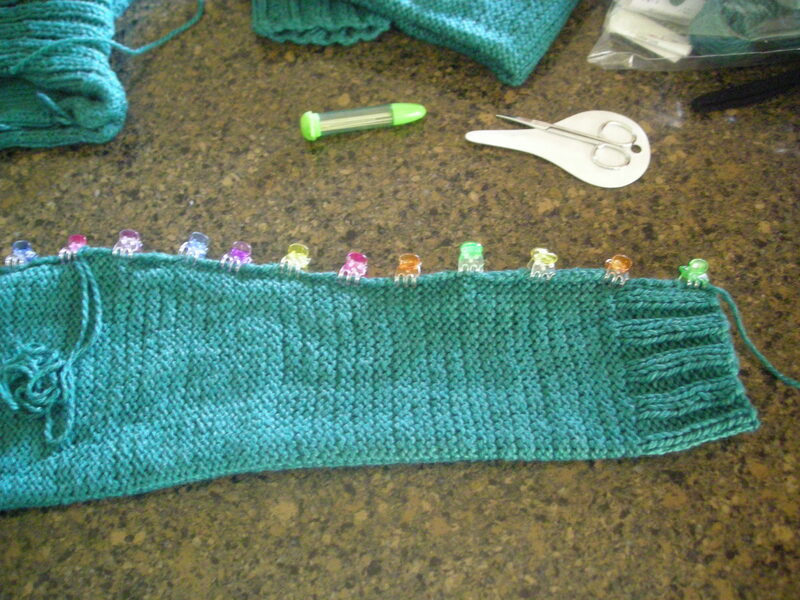 I’ve also decided not to do a knitted waistband, which would be bulky and coarse and itchy and uncomfortable. Instead, I picked up a length of belt elastic and a black belt buckle. I’ll sew the belt right to the skirt as a waistband. It will be smoother and slimmer, and much, much easier to wear. 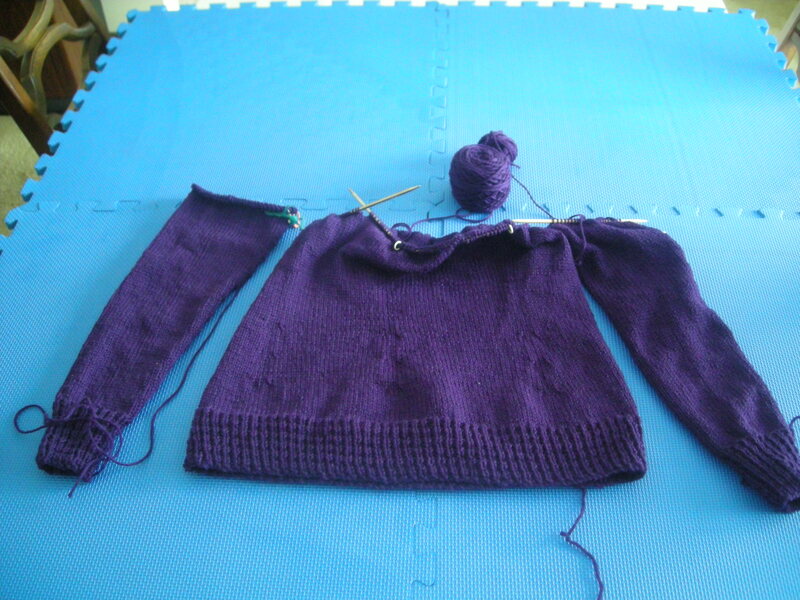 I’m also about halfway into a gathered pullover. 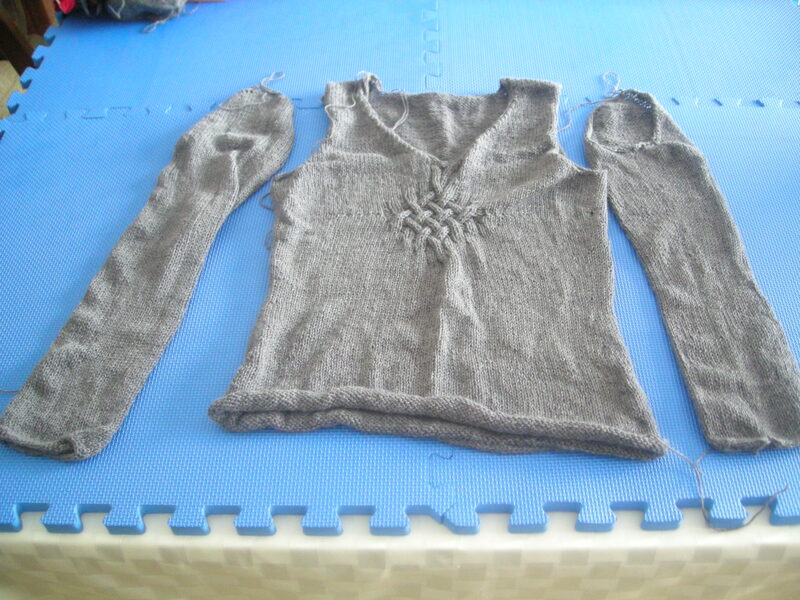 The body is knitted in the round to the armholes, then divided for the shoulders. I’m right at the point of division now, so a little further along than this picture shows. 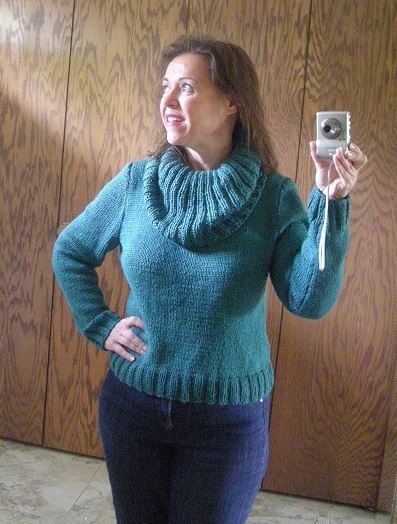 The cable for this sweater is simple and lovely. That’s just the bottom half of the cable. With the top half knitted on, it forms a diamond-shaped medallion at the center front bodice. 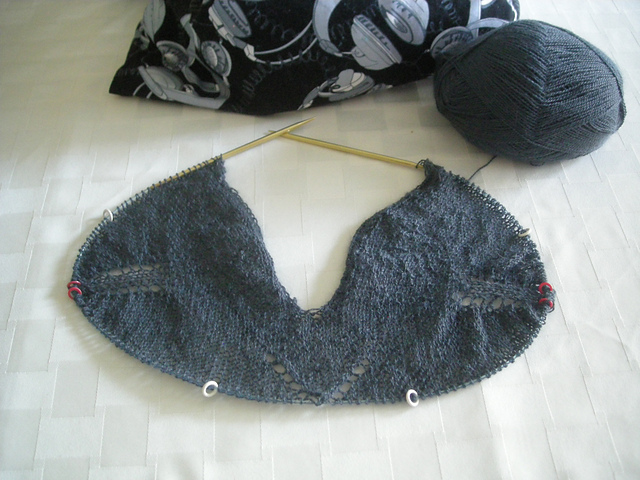 I’m using Sunday Knits Angelic 3-ply for this, yarn which was leftover from a shawl project. 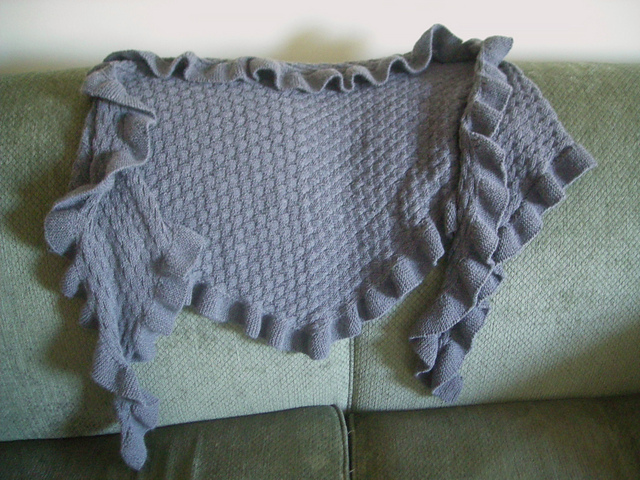 Here, I can show you the shawl, too, which I made a couple years ago and wear ALL THE TIME. 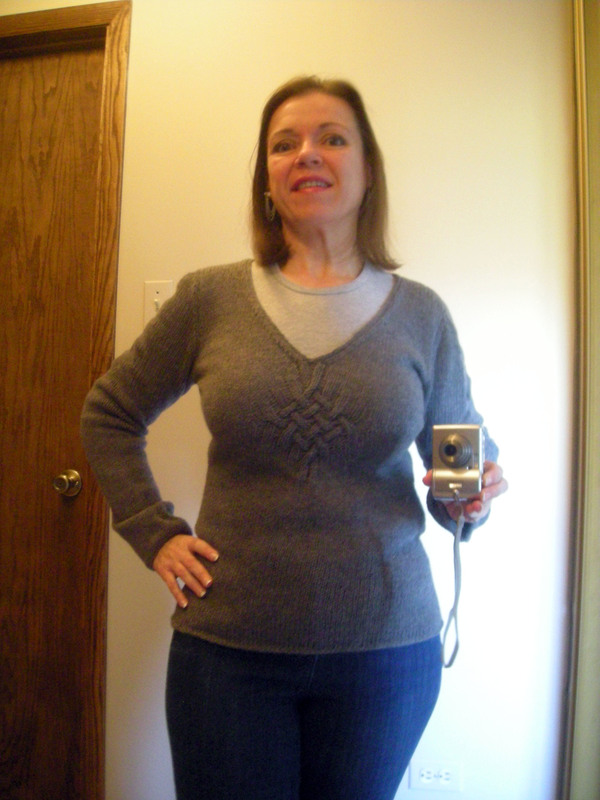 This is one of the best things I’ve ever knit, a Carol Sunday pattern called Cambridge. Love this shawl. When I bought the yarn for that shawl, I planned to do the largest size, and bought accordingly — plus a bit extra in case I wanted to knit a hat or gloves, too. I chose to knit the medium instead, and ended up with enough left over for a sweater. This is an angora-merino blend that is so soft and luxurious, yet so warm and cozy, that it will be perfect for the Gathering sweater. This means I have a lot of half-finished knitting projects laying around here right now. I have a feeling the holiday break and most of January will be given over to finishing what I’ve already started. Do you tend to work on one project at a time, or lots at once? I’ve been feeling under the weather the past couple weeks — much better now, and better every day — but instead of just sleeping it off like a normal person, I’ve been trying to, you know, live my life. That has resulted in a few errors, like this beaut. Sleeve math can defeat me on even my best days. I’m a wordsmith, not a number cruncher. And in this case, I somehow managed to calculate my sleeve heads to reach a proportion somewhere between NFL lineman and that guy at the gym who’s always hogging the mirror in the free weights area. Beefsteak, I’m not, but that sleeve sure is. 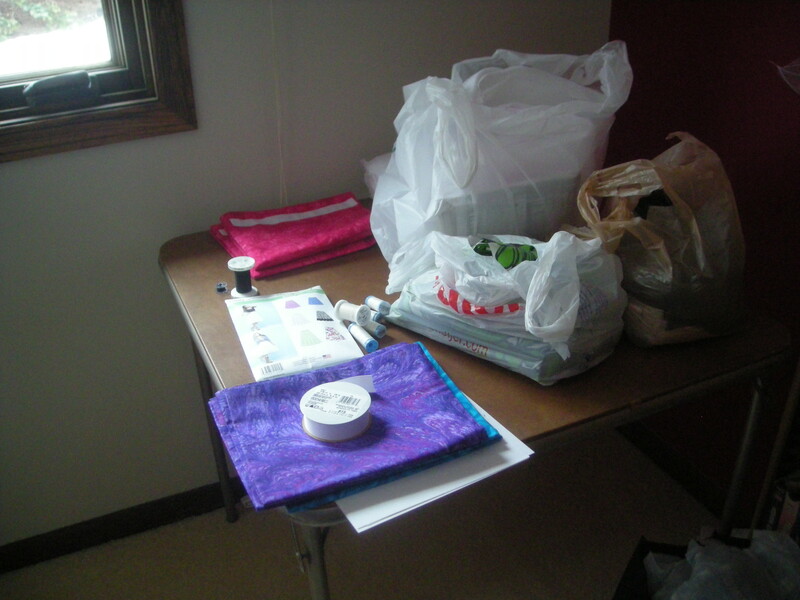 In the meantime, I’m also intending to return to my 30-minutes-a-day sewing habit. There’s a group on Sewing Pattern Review that sews 30 minutes every day, and that seemed like a great idea to me. I’ve done it before with great success. It’s amazing how much we can knock out in a targeted block of time, really, and how fast the clothes get finished and ready to wear. I set the timer for 30 minutes — my fear is always that I’ll get wrapped up in what I’m doing and the afternoon will vanish without me even realizing it, so the timer keeps me honest. I get daily progress without it interfering with everything else I have to do. Hello, job! Plus, it just makes me happy to be able to sew every day. Today, for my 30 minutes, I cut out a red Warm Thing of the fitted variety, this time with a straight hem and an a-line shape through the skirt instead of the shirt-tail hem I used before. I also worked on some fleece pants. I’ve decided I want a track-pant style banded cuff at the ankle on these pants (decided after the pants were already basically finished except for the waistband), so I had to alter the existing pants and draft a cuff piece. Then, before I could get any further with that, the bell rang and recess play time was over. 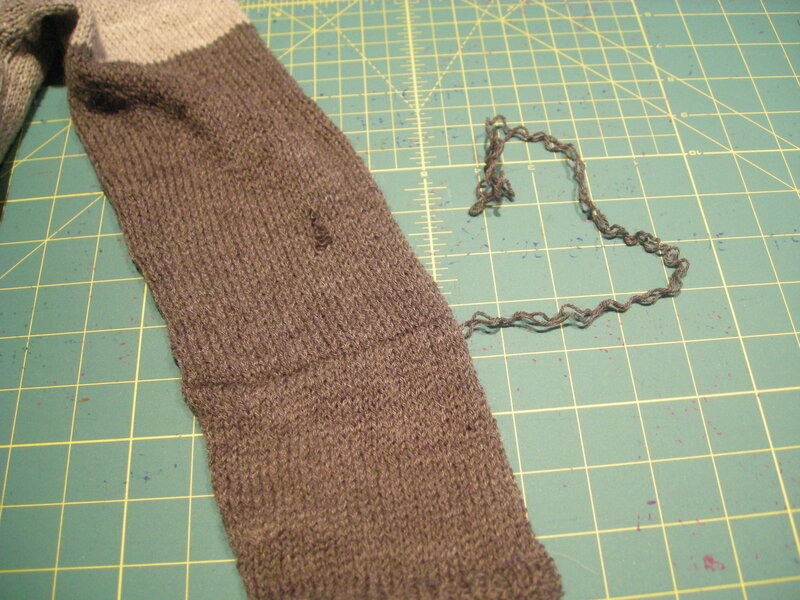 I should be able to get that cuff finished tomorrow in my next block of 30 minutes. Do you have productivity tools like the 30-minute daily habit to keep you on target?